Stand-up desk with storage compartment, two brush slides and locking drawer. Fluted legs with cross support. 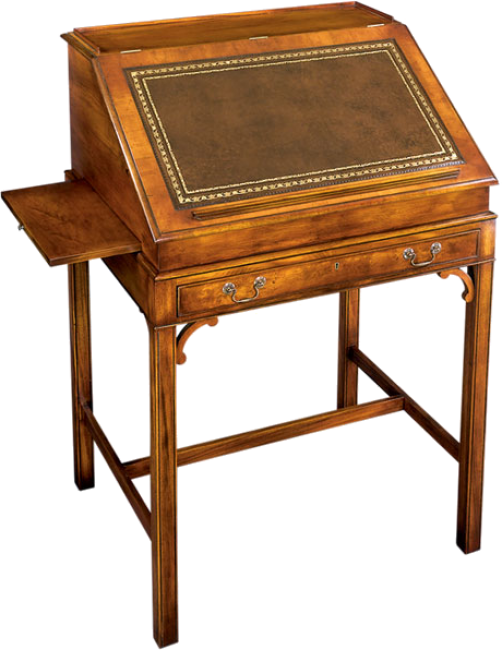 Wood or leather writing surface available. Solid antiqued brass hardware. Pictured in Yewwood.